The Pebble Project is currently in the permitting process, which began with the submission of a Clean Water Act 404 Permit application on December 22, 2017. The U.S. Army Corps of Engineers (Corps) is the lead agency for this project and is responsible for preparing an Environmental Impact Statement (EIS). With most projects of this size and nature, the permitting process is expected to take about three to four years. 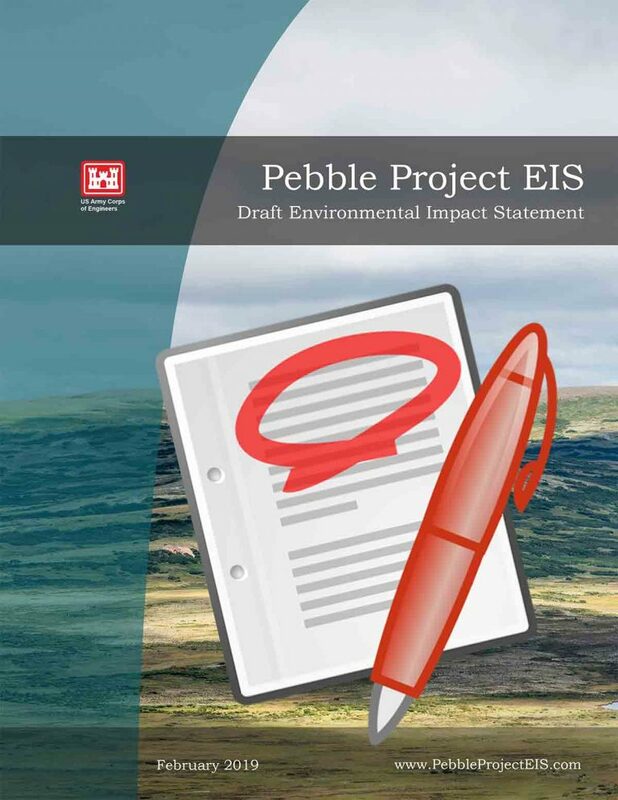 For the Pebble Project, the Corps has released an aggressive permitting schedule that anticipates the final step – the Record of Decision – to be complete within 24 months. Additionally developers will need dozens of separate permits (local, state and federal) to begin construction and operation of a large-scale mine in Bristol Bay. The state of Alaska Large Mine Permitting Team coordinates state permits. Pebble Watch will post permitting status information as it becomes available. Current resources include our Permitting Timeline, a broad picture of the project history, permitting period and construction/development window. Our Guide to Permitting links to relevant agencies, and lists major and minor permits that are likely to be required to advance the Pebble project. Some of the necessary permits offer public comment periods. Pebble Watch will track and post these as they are scheduled. Please note that the most recent update to the Pebble mine plan is this technical document submitted to the Corps in May 2018. Application (64 pp) – The permit application includes a project overview, description of the main project components (mine site, port, natural gas line, access road), culvert schedule, list of necessary permits/approvals and more. Attachments A1-A6 are maps and other figures that are in separate documents but considered part of the overall permit application document. Attachment A1 (3 pp) – A map of the overall project area, where the natural gas pipeline would be built, and a guide to interpreting the maps. Attachment A2 (12 pp) – Map of the natural gas pipeline on the Kenai Peninsula. Attachment A3 (20 pp)– Drawing of the mine area, showing quarry, stockpiles, TSF, seepage recycle pond and more. Attachment A4 (4 pp)– Cook Inlet port overview and ferry terminals on Lake Iliamna. Attachment A5 (46 pp) – Maps of the access road. Attachment A6 (41 pp) – Drawings of the port site, culverts, bridges, tailings storage facility (TSF), quarry, stockpiles, access road. Attachment C (140 pp) – Spreadsheet of wetlands and water surface areas impacted by the project, listed as “Wetland Polygon Identification Inventory,” and identified according to the project component that would impact it (mine site, port, natural gas line or transportation corridor). Attachment D (92 pp) – Project overview, summary, and additional detail on all aspects of the project, including mine site, transportation corridor, port, process for extracting and processing the ore, tailings storage facility, water treatment. Consolidated (512 pp) – A spreadsheet listing all the waters and wetlands that would be impacted by the project, including acreage, latitude and longitude, and whether the impact would be permanent or temporary. The first 171 pages provide detailed itemization of impacts. The final 341 pages list aquatic resources in detail. Permitting for Pebble: What is the permitting process? Where is the mine plan? How can members of the public give input? Pebble Watch interviews Pebble Limited Partnership’s Mike Heatwole and Alaska Department of Natural Resources’ Sharon Stambaugh for the details. Alaska is viewed in a negative light by the industry because of its regulatory process and length of time for getting permits. A January 2012 report on “The Economic Impacts of Alaska’s Mining Industry,” reports 81 significant exploration projects in Alaska in 2010. Thirty-four of these each had expenditures of more than $1 million. Most of this exploration funding came from Canadian and other international sources. And the Fraser Institute’s 2011/2012 survey of 802 mining companies around the world ranked Alaska in the top 25 for “policy potential,” or how well different factors encourage investment. 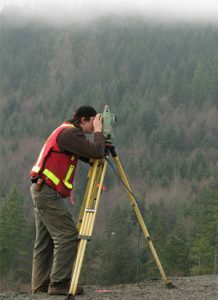 Factors included in the survey were: existing regulations; environmental regulations; regulatory duplication and inconsistencies; taxation; uncertainty concerning native land claims and protected areas; infrastructure; socioeconomic agreements; political stability; labor issues; geological database; security; and corruption. Once the permitting process has begun, the state of Alaska has never before rejected a large mining project. Alaska has the world’s most stringent regulatory system. This statement can be used as an assurance that the regulatory process is more protective in Alaska than anywhere else, but it is difficult to find research or comparisons that back up this claim. According to Sharmon Stambaugh, of Alaska DNR, the state does differ from other areas, especially in terms of water quality standards. “A lot of states rely on federal standards, but because Alaska protects most of its water for all uses, including aquatic life, it has set very stringent state standards.” Stambaugh said the permitting process is more complex due to factors such as land-ownership, endangered/threatened species, anadromous fish, and issues with access to sites. Once a site opens, there are permit-required environmental audits every five years. “To our knowledge, these environmental audits are not generally standard requirements in other jurisdictions,” said Stambaugh. But does that mean Alaska has the world’s most stringent standards? It’s unclear until a factual comparison is conducted.